Developing a QA strategy that scales to meet the changing needs of a growing organization is a major challenge. Traditional testing techniques can’t keep up with a fast-paced development cadence. For many of these growing software companies, determining whether a product or feature is ready to ship is difficult, and there is no one-size-fits-all strategy. 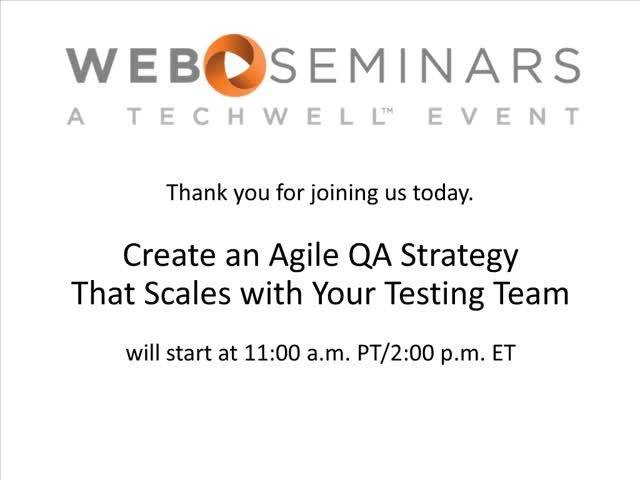 Join this web seminar to discover how testing needs change as a company grows, and how your team can adapt its QA strategy to an agile approach that fits. You’ll learn the key factors expanding software companies must consider to optimize their QA strategy for both speed and quality.